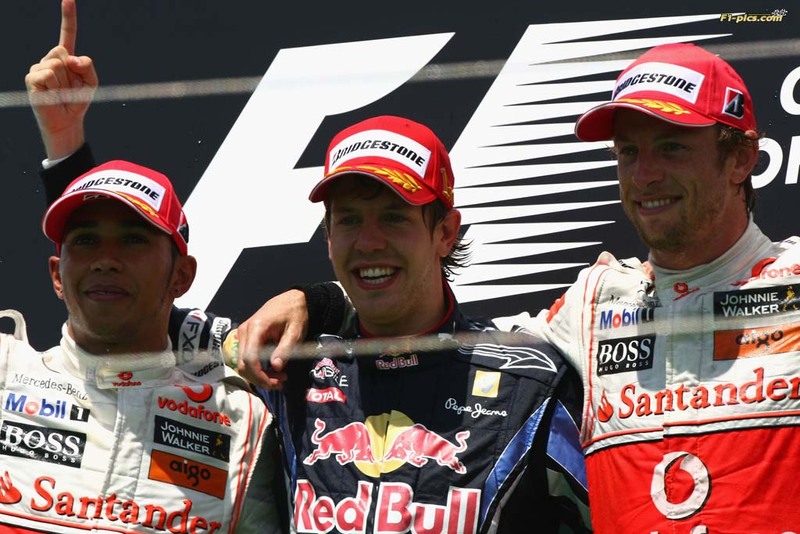 5 Contenders-Who will win the F1 Championship? 1.Mark Webber-This will be Mark’s best ever chance to win a championship,he’s had an excellent season,only failing to score in 1 GP this season which was in Valencia after an horrendous incident with Heikki Kovalainen.Mark had a slow start to the season with an 8th,9th,2nd and 8th in the opening 4 races but when he got back into Europe a massive improvement with him winning the Spanish and Monaco races and was leading in Turkey when he collided with teammate Vettel but stayed in the race and finished 3rd in the end. 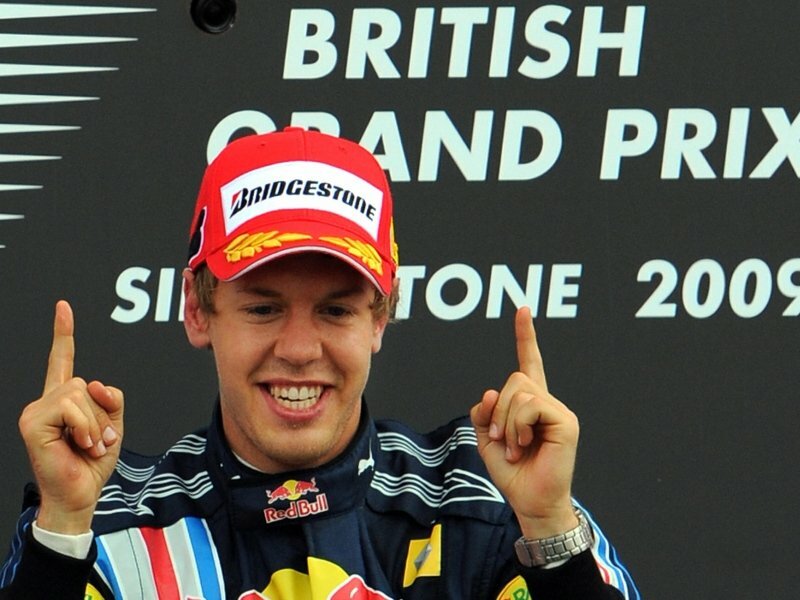 He then finished 5th in Canada and after that horrendous crash in Valencia he came back and took a superb victory after the front wing controversy in Qualifying.Then he had an average race in Germany with 6th but fought back again in Hungary with a lucky enough victory after Vettel’s error,then drove a very solid race for 2nd in Belgium and then finished 6th in Italy last weekend with some excellent overtaking moves.A slight disadvantage for Webber is that he hasn’t been involved in a title fight but has been in F1 since 2002 and with the fastest car in the field this season I think he will win the title as long as the car remains reliable. 2.Lewis Hamilton-The 2008 World Champion has had an up and down season but remains right in the hunt for the championship.He had a solid start to the season in a Mclaren that was only the 3rd fastest car for the opening races in the dry,Lewis finished 3rd in Bahrain after Vettel’s problem,he then had 2 consecutive 6th places in Oz and Malaysia,then in China he drove a superb race in the wet to come through the pack to finish 2nd.Then in Spain in a car which was much slower compared to Vettel’s he jumped Seb in the pitstops and was heading for 2nd until with 2 laps to go heartbreak his tyre let go and retired.Then after a 5th in Monaco,Then Lewis got into a real purple patch,he won the next 2 events in Turkey and Canada.Then 2 second places in Europe and Britain,he then finished 4th in Germany but had a DNF after a gearbox problem,He drove a super race at Spa to take victory but a silly incident with Massa at Monza meant a silly DNF and lost his championship lead to Webber. Advantages Hamilton has,he is a very good racer who can overtake better than anyone on the grid at the moment,always give 100% and he has been involved in 2 epic title fights already.Disadvantage well sometimes his racer instincts mean he can make bad errors and Red Bull have a quicker car,so I think 2nd for Lewis in the Championship. 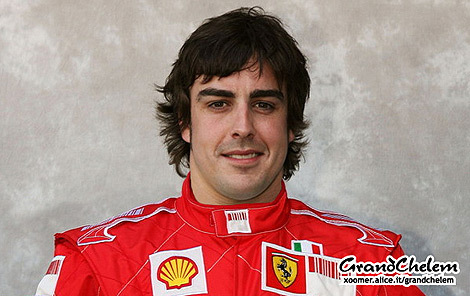 3.Fernando Alonso-A Real up and Down season for the Double World Champion.After winning the opening race in Bahrain and a 4th in Australia,he retired in Malaysia with an engine failure,then had another 4th in China,back to Europe it soon became obvious Ferrari only had the 3rd quickest car,after a lot of luck he finished 2nd in Spain,6th in Monaco after driving a great race from last place after missing qualifying.Then he had a poor weekend in Turkey finishing 8th,a great drive in Canada got him 3rd place,then 2 bad races 8th in Valencia and 14th in Britain after a penalty for an illegal overtake.He Then won the German GP after Ferrari used team orders to move Massa over for him to win. He then drove a solid race in Hungary to finish 2nd,DNF in belgium after a silly error,then won the Italian gp after great work by his pitcrew.Advantages-he has the full backing of his team and has been involved championship battles as well as lewis.Disadvantages-Too Inconsistent which could have cost him the title.I see him finishing 4th in the championship. 4.Jenson Button-Button had a very strong start to the season winning races in Oz and China after brilliant strategies,he finished 7th in Bahrain and 8th in Malaysia in the other fly away races.He then had a 5th place finish in Spain,a DNF in Monaco after a mechanic error,he then got back on track with two consecutive 2nd places in Turkey and Canada,a 3rd in Valencia,4th in Britain and 5th in Germany.Then things went downhill,only 8th in Hungary and then while running 2nd at Spa,he was hit by Vettel which meant a DNF but drove a superb race at Monza to finish 2nd and get himself back into the hunt.Advantages-In changeable conditions he is the best on the grid and scores regular points even if small. Disadvantages-He needs the balance and grip to be spot on otherwise he struggles a lot and that’s why he will only finish 5th in the Championship in my opinion. 5.Sebastian Vettel-Really Up and Down season for Seb-He has taken 7 poles but has only won 2 races so far,He was heading for victory in Bahrain before a spark plug problem meant he only finished 4th,then a DNF in Melbourne after a brake problem while leading,Then won in Sepang after a good drive,he finished 6th in China after strategy error(changing tyres) by Red Bull and himself.He then finished 3rd in Spain after big brake problems in the last few laps.Then had a good race in Monaco to finish 2nd but disaster struck in Turkey when he collided with teammate Webber which meant a DNF.4th in Canada despite late car trouble.He then won in Valencia after an excellent drive but only 7th in the British GP after picking up a puncture on the opening lap after been on pole.he then finished 3rd in Germany after a poor start from pole.He should have won in Hungary but dropped too far behind the safety car which meant a drive through penalty and only finished 3rd.Vettel had a nightmare in Belgium,he hit button out of the race and then after a drive through penalty,Liuzzi clipped Seb’s tyre which gave him a puncture and finished 14th.Vettel drove an excellent race at Monza to finish 4th after been 8th halfway through when he had a brake problem for a lap. 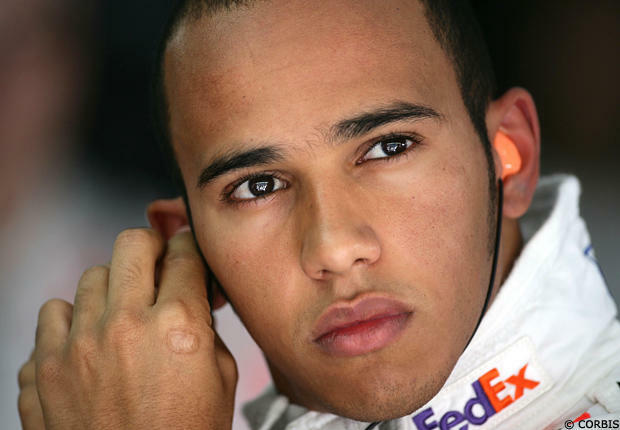 Advantages-King of Qualifying and has got massive natural speed and of course has a great car. Disadvantages-still not good at overtaking and has not converted enough poles into wins.my prediction 3rd in the championship. 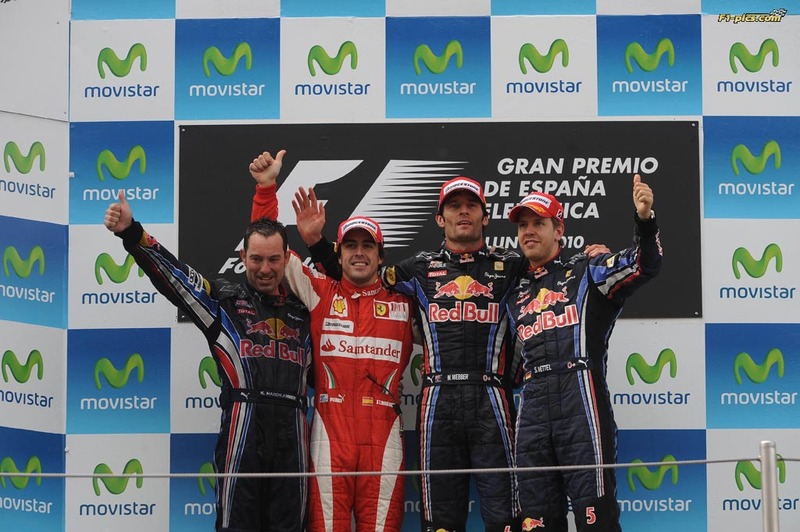 Best Driver in F1 so far in 2010? 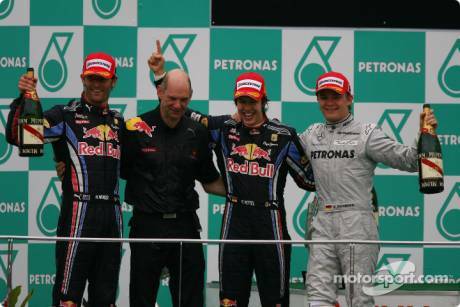 which driver impressed you most in the first half of 2010? just wondered if you could take a spare few minutes out of your time to read, rate and possibly comment on my entry in the red bull reporter competition! thanks it is VERY much appreciated!! So as we have reached the midway point of this exciting Formula 1 season although you wouldn’t have said that after the Bahrain GP which was quite simply an awful race. 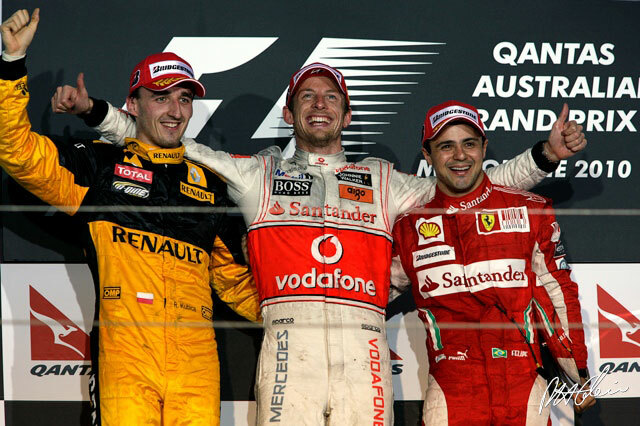 With Michael Schumacher’s return to F1,Button to Mclaren,3 new teams and of course 4 World Champions on the grid. 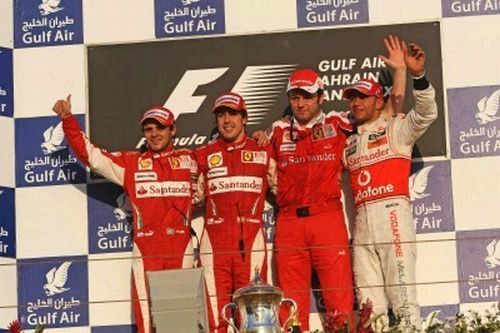 Bahrain however was quite simply a dreadful race,after Vettel took Pole in qualifying with the 2 Ferrari’s behind,after Alonso passed Massa round the outside in turn 1 the race,while the only other action were Sutil and Kubica coming together at turn 2 which dropped them to back,the race then became a complete procession with Vettel and Alonso pulling slightly away from Massa but then Alonso and Massa began to get closer to Sebastian and then on Lap 34 they passed Seb because the German had a spark plug problem slowed him down,a couple of laps later Hamilton passed him but he held off Rosberg to hold onto 4th.Alonso in the end pulled away and comfortably won from Massa and Hamilton,Schumi finished 6th. 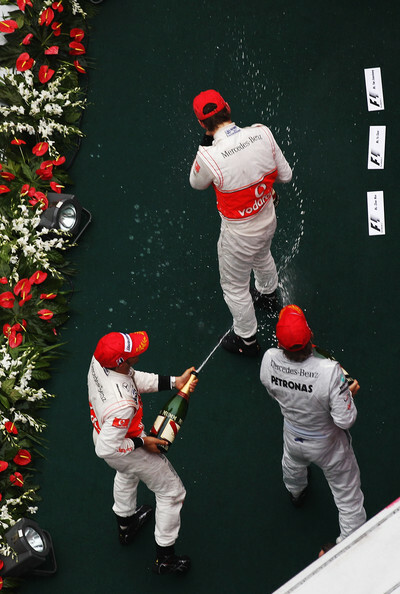 The Chinese GP was also a cracking race.After Red Bull dominated qualifying with Vettel on pole and Webber 2nd with Alonso 3rd in the Ferrari.However the race didn’t go well for Red Bull.It was another wet race,Alonso jumped the start while Webber got ahead of Vettel into turn 1,while Liuzzi lost control on Lap 1 and hit Kobayashi.Early on most of the lead drivers pitted bar Button and Rosberg who then pulled a huge gap out as the rest went for inters and then went straight back a few laps later to drys.This meant Hamilton,Vettel,Alonso,Webber,Massa all lost a huge amount of time and had to carve there way back through the field and a Safety Car helped there cause,Before the SC came out Button had taken the lead from Rosberg after an error by the German who ran wide.Hamilton then went on the rampage and passed Petrov,Schumacher and Kubica to get himself into 3rd,he then began to catch Rosberg and after both made there final stops Hamilton jumped Rosberg and after Button ran wide with a few laps to go on completely worn inters and just held on from Lewis with Rosberg 3rd with Alonso 4th after also charging through. The F1 circus returned to Europe for the Spanish GP from Barcelona and well it was a dvery boring race,Webber took pole from Vettel in qualifying with Hamilton P3 on the grid.The only moves at the front were Hamilton jumping Vettel for 2nd after the stops and Schumi staying ahead of button for the whole race but disaster was to strike for Vettel when his brakes gave up on him,he pitted and somehow finished 3rd despite having pretty much no brakes while Lewis tyre expolded just 2 laps from the end and retired which elevated Alonso to 2nd.So Webber won,Alonso 2nd,Vettel 3rd. 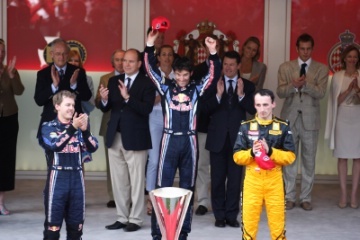 The Monaco GP was another fairly processional race,Alonso started last after missing Qualifying due to a crash in practice,Webber took pole,Kubica a fantastic 2nd in the Renault and Vettel 3rd on the grid.Vettel managed to get pass Kubica at the start while Alonso took advantage of a Safety Car and finished 6th,after he passed all the new team’s cars.Webber went on to win with Vettel 2nd and Kubica 3rd. 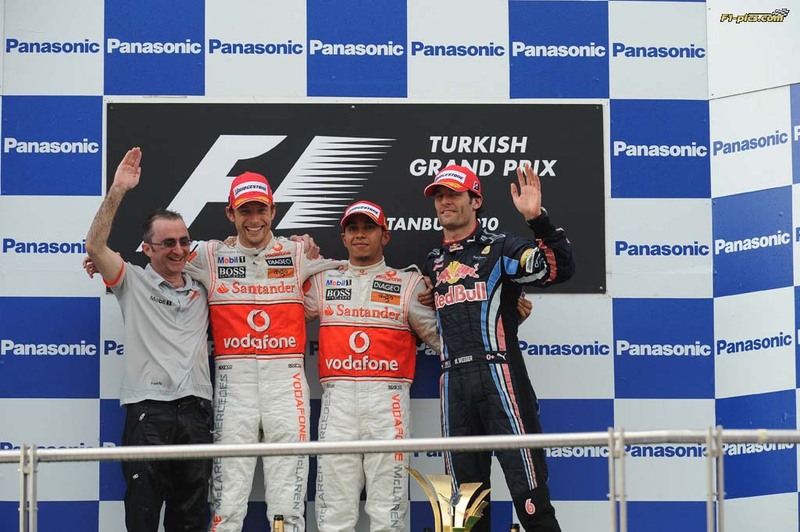 Ahead of the Turkish GP Vettel had to have a new chassis,so it meant one of his famous female chassis names and he called Randy Mandy(boy he has got some interesting english words in his head haha),In turkey it was tight between the Red Bulls and the Mclarens in Qualifying and the race,In Qualifying Vettel had a car problem and would have been on pole if it wasn’t for a car problem again and had to settle for 3rd,with Webber on Pole,Lewis 2nd and Jenson 4th.At the start Seb briefly got ahead of Lewis but lewis got him back almost immediately while Button had to get back pass Schumi after been jumped by him at the start,then these 4 set off for a cracking battle,Seb jumped Hamilton at the pitstops and then began to close in on teammate Webber and on Lap 40 he attacked but disaster struck as he came across a tad early and the 2 Red Bulls collided and Vettel retired from the race but Webber continued and finished 3rd,then the Mclarens raced each other cleanly unlike the 2 RBR drivers,Button passed Lewis into turn 12 but Lewis got him back into turn 1 and went on to win with button 2nd and Webber 3rd.Schumacher finished 4th for the 2nd time in 3 races.Ferraris had a poor race only 7th and 8th. 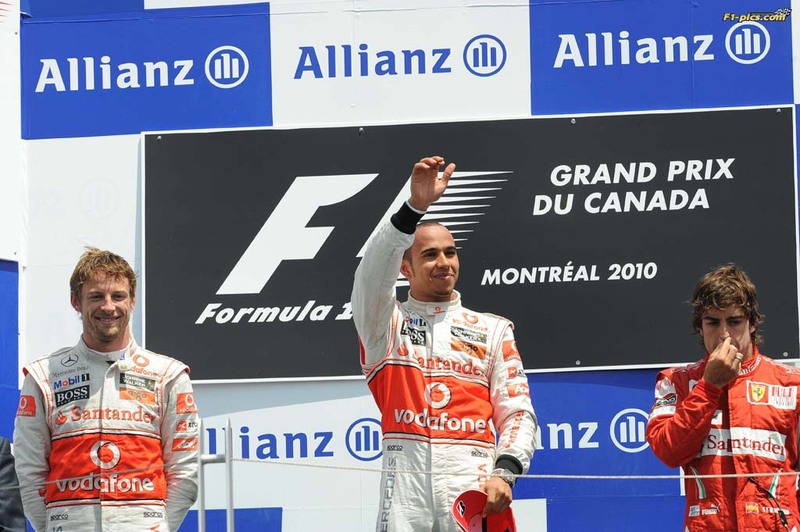 Canada was another great weekend with lots of action and there was a massive shock in Q2 when Michael Schumacher was knocked out.Hamilton took pole the first time this season a Red Bull had not taken pole with Webber 2nd,however he had to take a 5 place grid drop due to a gearbox change which elevated Vettel to 2nd and Alonso 3rd.At the start the Top 3 stayed in the same positions but behind Liuzzi and Massa had contact causing both men to pit and Petrov and De La Rosa had contact after Petrov jumped the start.Kamui Kobayashi crashed into the ”wall of champions” at the end of Lap 1 after a battle with Hulkenberg went wrong.On Lap 7 Hamilton and Alonso pitted after the soft tyres,as did Button a lap later had gone completely off and the two Red Bulls led with Vettel ahead of Webber but as soon as Both Mclarens and Alonso pitted and put on the harder tyres they were quicker,than both Red bulls,Alonso had jumped hamilton in the pitstops and when both Red Bulls pitted they dropped behind Buemi which meant he led his first ever race,with Alonso,Hamilton and Button,Vettel and Webber in that order.Alonso then had a go round the outside at the hairpin,however that failed and as Buemi pitted,Hamilton passed Alonso into the final turn to take the lead back again,then halfway through the race as Alonso attacked Lewis,the brit pitted and after Alonso pitted a couple of laps later,Hamilton stayed ahead,Webber who stayed out was caught by Lewis and Alonso on lap 49,by this time Mark’s tyres were gone but there was more drama on Lap 55 as Chandhok held Alonso up and Button brezzed past to go 2nd,In the end Lewis won from Jenson and Fernando,Red Bulls 4th and 5th Seb ahead of Mark after Seb was managing an ”issue”.Schumacher drove an awful race,finished outside the points after been passed by both Force Indias on the final lap and he also squezzed massa off the track in an Illegeal move and drove Kubica off the track earlier in the race. Click the about ^^ up there to find out about mine and James’ joint venture! 🙂 we hope you enjoy reading our blogs! Josh Hayes on F1 Mid Season Review!!! Colm on F1 Mid Season Review!!! Duncan Rice on F1 Mid Season Review!!! thefunmotorsportblog on F1 Mid Season Review!!! Ailish on F1 Mid Season Review!! !